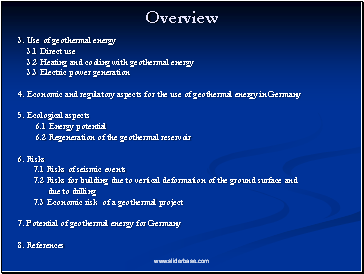 Geothermal energy is that part of the total heat energy stored within the Earth’s interior that is available for human use. 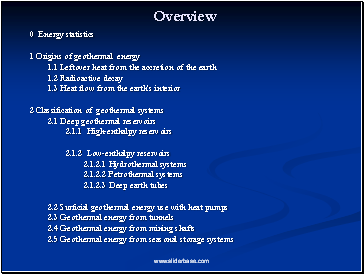 That means practically that it is related to the heat energy stored in the upper layers (crust) of the earth. 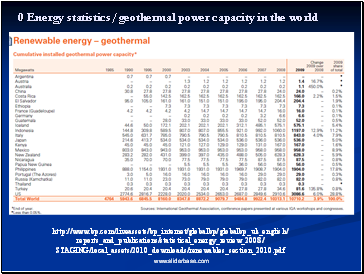 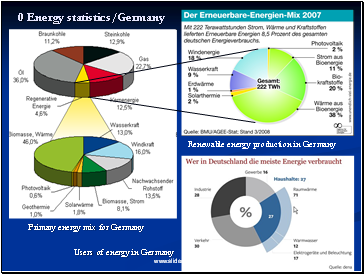 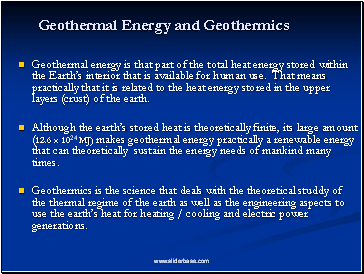 Although the earth’s stored heat is theoretically finite, its large amount (12.6 x 1024 MJ) makes geothermal energy practically a renewable energy that can theoretically sustain the energy needs of mankind many times. 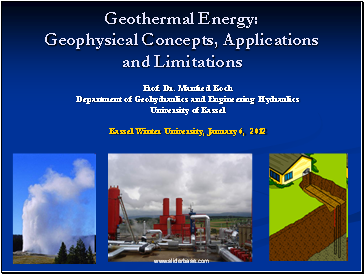 Geothermics is the science that deals with the theoretical studdy of the thermal regime of the earth as well as the engineering aspects to use the earth’s heat for heating / cooling and electric power generations.